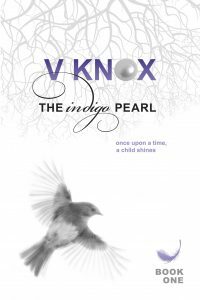 ‘THE INDIGO PEARL’- once upon a time, a child shines. 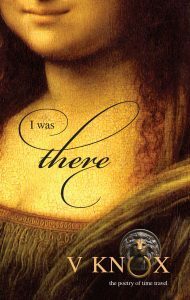 A woman savant must experience her next life as a time-traveler to recover the missing paintings of Leonardo da Vinci and reunite with her lost love. Delphi Sharpe, orphaned at birth and diagnosed as an autistic savant, has the psychic ability to speak with paintings. 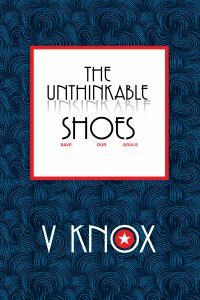 At the age of fourteen, fated to live out her days in an institution, her uncanny gift catches the attention of a ruthless art collector who liberates her. Housed in luxury, the teenage Delphi continues to grow up in two worlds: an alternate reality where renaissance paintings communicate through mental telepathy, and the real world where she works authenticating and restoring paintings. 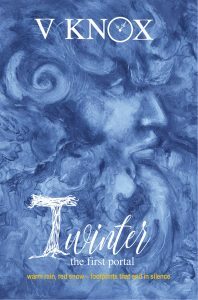 Isolated and misunderstood, Delphi retreats further into her eccentricities and falls in love with a young man she meets in a five-hundred-year-old portrait. 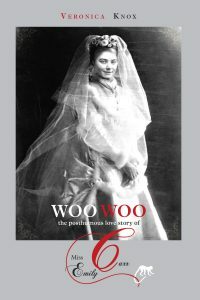 Fifty years after a freak accident she reincarnates as a time-traveler. Now she must battle herself to reunite with her lover. 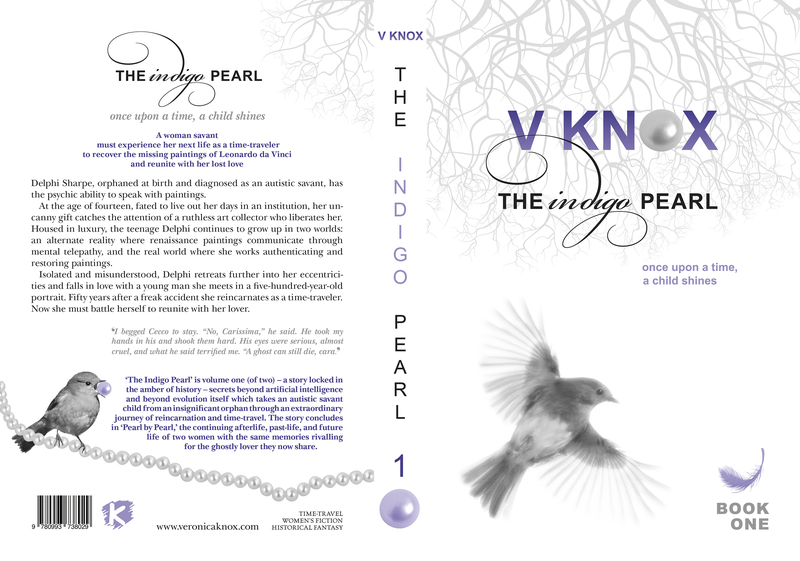 ‘The Indigo Pearl’ is volume one (of two) – a story of a thousand secrets locked in the amber of history, beyond artificial intelligence and beyond evolution itself which takes an autistic savant child from an insignificant orphan through an extraordinary journey of reincarnation and time-travel. The story concludes in ‘Pearl by Pearl,’ the continuing afterlife, past-life, and future life of two women with the same memories rivaling for the ghostly lover they now share.